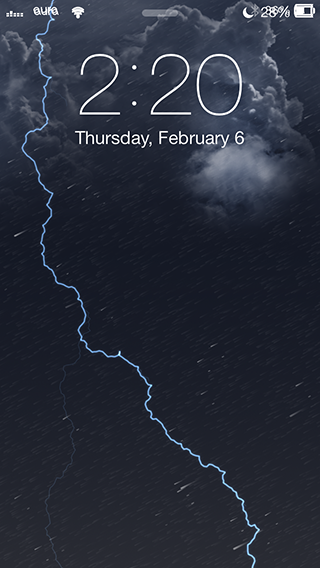 Weatherboard iOS 7 Theme for Weather-Based Animated Wallpapers! Dynamic wallpapers were introduced with iOS 7, however, Apple doesn’t offer you much of a variety to choose from. 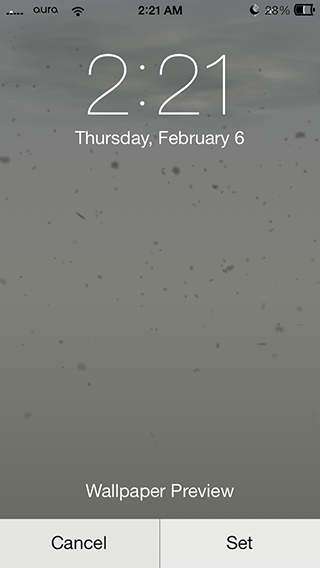 Here is the Weatherboard iOS 7 to provide you with a major bulk of 42 different wallpapers (reddit claims 80!) with weather theme. Just like the native wallpapers available with iOS 7, these dynamic wallpapers are also available to be previewed and you can set them as home screen or the lock screen. All of these Weatherboard iOS 7 dynamic wallpapers are available in both the night and day formats. These wallpapers will be changed at the time specified by you. 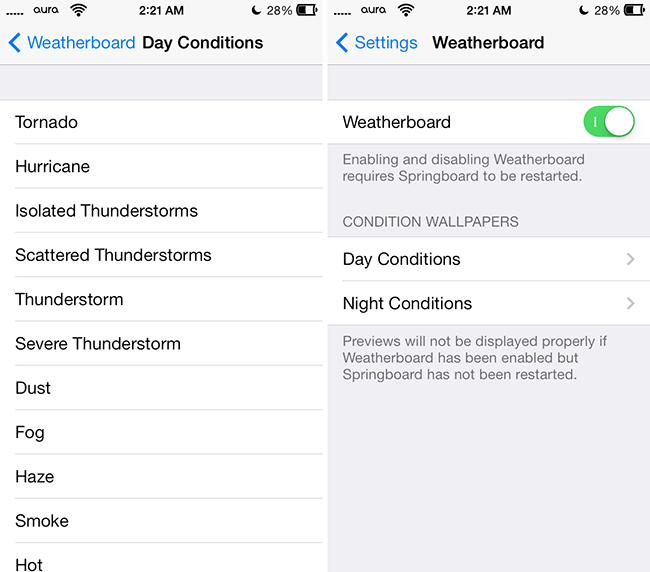 Weatherboard iOS 7 is available in the BigBoss repo in Cydia for $1.49. Go to Cydia, search for Weatherboard, and download. Once done, go to Settings app > Weatherboard > and toggle it on. Here, you can select Day or Night condition and then choose an animated wallpaper. Two issues with this beautiful, packed with animated wallpapers tweak: one, the tweak will also use more battery compared to static wallpapers (happens with Apple’s default animated wallpapers too); secondly, there is a bug with this tweak’s status bar. You can check in the screenshots too that the animated wallpapers overlap lock screen and home screen status bar. The latter will of course be fixed in future updates, however, if you are worried about battery life, don’t use animated wallpapers. Tweak’s dev also intends to offer beautiful location based weather wallpapers and improved battery life in recent future. Aura, Ayecon, and Other Popular iOS 7 Winterboard Themes – The Best So Far!